Celeb Gossip News – World Cup 2018 England fixtures: When is England's first game? When is England playing? World Cup 2018 England fixtures: When is England's first game? When is England playing? England’s World Cup campaign kicks off a little more than a week from now, with the Three Lions taking on Costa Rica in the last pre-tournament friendly tonight. England football team will take one of the youngest squads they have ever had to the Russia World Cup 2018, with the average age of the team just 26 years old. 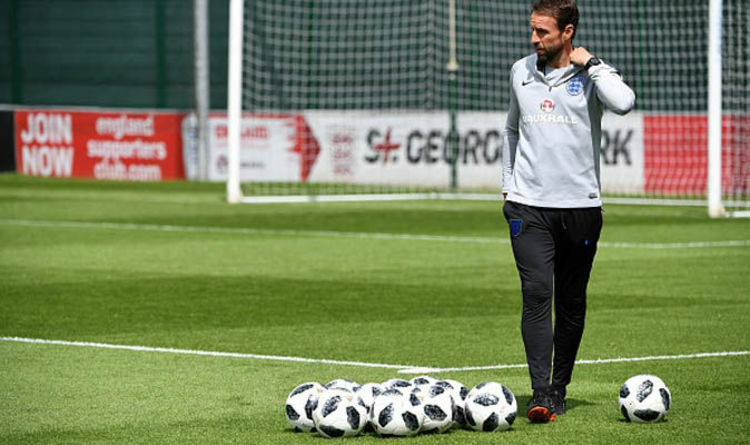 England faces a mixed group against Tunisia, Panama and Belgium this year, with fans hoping the team will reach the knockout stages at the very least. 32 teams are preparing to play the first game in the international tournament across 64 games across Russia, with the opening ceremony kicking off proceedings in Moscow on Wednesday. When is England’s first World Cup game? The Three Lions take on their first group stage opponents, Tunisia, on Monday, June 18 at 7pm. Tunisia is currently 500/1 to win the Russia World Cup 2018, according to OddsChecker. Despite the long odds, England fans should not underestimate the minnow nation, who could pose a tricky threat in the early stages of the tournament. Gareth Southgate has been whipping his team into shape this week with friendlies against Nigeria and Costa Rica. but who knows what will happen once the action begins. Nerves will likely be fraught as the young England squad takes centre stage, and a draw is certainly a possibility. Premier League fans may recognise Wahbi Khazri, who had a spell at Sunderland two seasons ago. Khazri scored a wonder goal that netted him the Match of the Day goal of the season, though it is doubtful he will recreate this spectacle in the World Cup. England’s game against Tunisia will be broadcast live on the BBC at 7pm on June 18, as the Three Lions begin their campaign for World Cup glory. What are England’s World Cup Fixtures? Gareth Southgate and his team will have to navigate a deceptively tricky group in order to progress to the Round of 16. After Tunisia, England faces a minnow nation that should pose no problem for them, in Panama, on June 24 at 1pm. Panama is embarking on their first World Cup tournament and is out at 1000/1 to lift the World Cup trophy in July. They have the oldest squad in the whole tournament and are unlike to play expansive, ambitious football during their campaign, which can be watched live on BBC. After these early tests, England will face the menacing Belgium on June 23 at 7pm. Belgium are among the favourites to win the World Cup this year, boasting an incredibly strong team containing some of the hottest Premier League prospects. Eden Hazard, Romelu Lukaku, Kevin De Bruyne and Thibaut Courtois will all feature for the Belgium national team, giving England plenty to think about as they battle for a win. Once each team has played each other once, they will rotate back around again, playing each team again in a bid to accrue the highest total points tally and progress to the Round of 16 stage. The Russia World Cup 2018 will begin on Thursday, June 14 at 4pm.